Simon Kenton is the reason there is a Frontier Partisans blog. The Revolutionary War-era frontiersman was the embodiment of the partisan warrior, the man who turned the fieldcraft he developed as a hunter and woodsrunner to the deadly business of freelance partisan warfare. 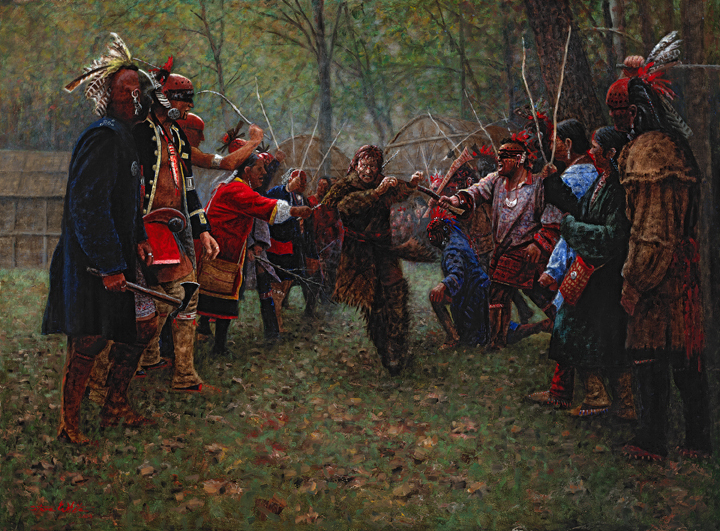 Kenton acted as an independent scout for the fledgling Kentucky settlements in the 1770s, and once they became established he led Kenton’s Boys — not a militia, but his own handpicked paramilitary outfit that patrolled along the Ohio River and conducted punitive raids against Shawnee fighters and horse thieves. And they, in turn, stole Shawnee horses on a wholesale basis. 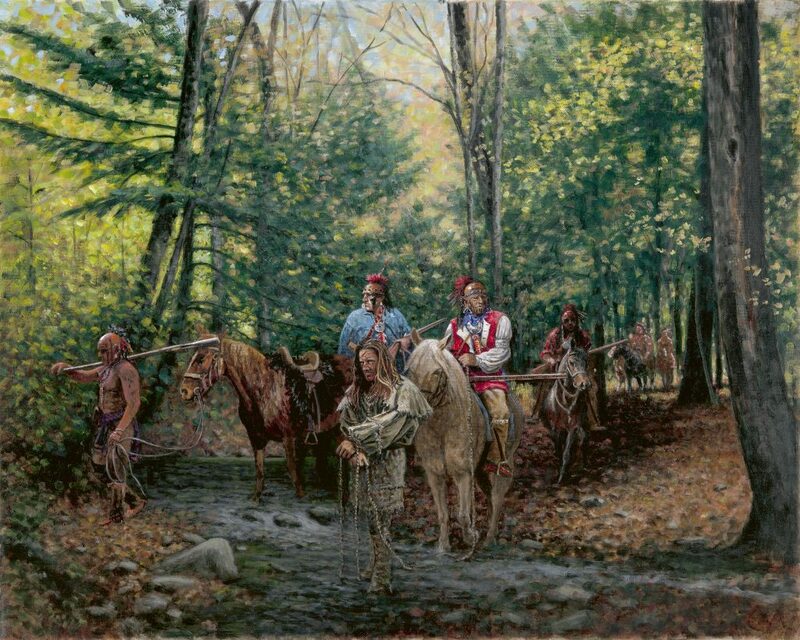 Simon Kenton’s Voyage to Steal Horses. 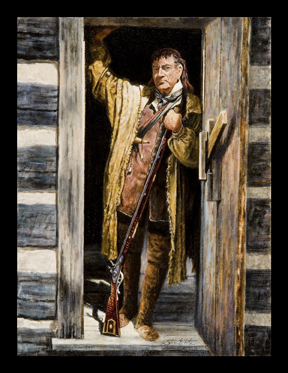 His contemporary Captain Sam Brady, who led Rangers in Western Pennsylvania was certainly his equal in skill — but nobody did the dangerous work of spying, scouting and ranging better than the Kentucky frontiersman. And he did it all “on his own hook,” without state support or direction of any kind. His was a truly independent ranging force and one of the most effective of its kind in history. He was never a soldier and would have made a bad one, since it seems he could never stand to be told what to do or how to do it. But as an “operator,” there was none to surpass him. He survived a brutal captivity ordeal that should have killed him several times over, and he lost many friends under native scalping knives. Yet he never degenerated into the monomaniacal Indian hating that characterized such men as his contemporary, Lewis Wetzel. Wetzel was an Indian killer. Legitimate combat or out-and-out murder made no difference to him. It did to Kenton. In old age, he expressed regret over killing an Indian warrior whom he had pinned down and tomahawked. My frontier horizons have widened since I first discovered Kenton’s story in Allan W. Eckert’s The Frontiersmen. But he’s always been the hub of the wheel; and part of the thrill of discovery in my studies has been in finding men like P.J. Pretorius and Frederick Russell Burnham of a later time and different territory, men worthy to stand beside him in Frontier Partisans Valhalla. Kenton and Boone. 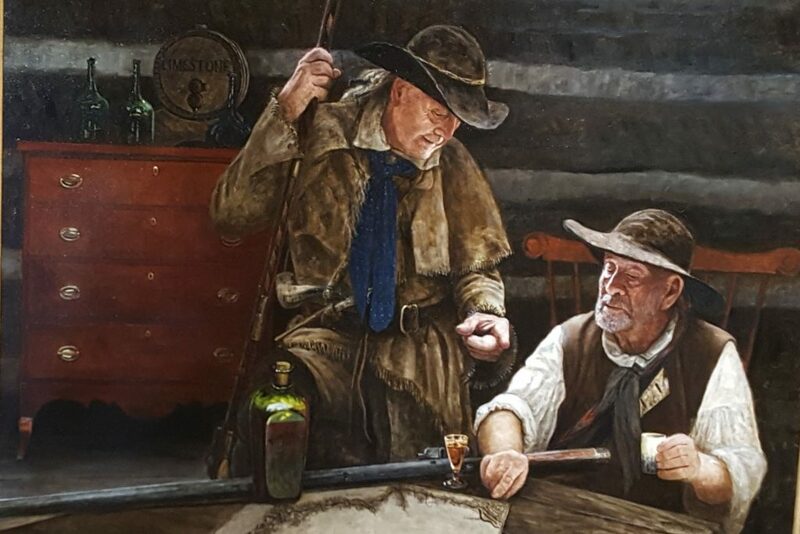 Two old Frontier Partisans with storied lifetimes behind them. Simon Kenton is the lead biography in my book Warriors of the Wildlands: True Tales of the Frontier Partisans, available online through Paulina Springs Books. Off topic, but an interesting book was mentioned in the Star Tribune. “Waters Beneath My Feet” by Jerry Pushcar. His 3 year canoe trip from New Orleans to Nome in the 1970’s. He stayed in Nome after he got there. You have probably read it, but for your ongoing writing project and given your interest in the topic, I recommend "Fields of Battle" by John Keegan on how geography shaped North America's military history. Opened my eyes to just how central the NYC to Montreal corridor was. I really ought to read more about Kenton. I think it’s hard to overemphasize the importance of this, especially in a country where the American Indian has never been deemed worthy of full moral consideration. No doubt Kenton’s rip-roaring way of life would be demonized today by the same folks who write policies demonstrating how little they care for Native Americans—or ignore them completely. One of my first hero’s an still is. Okay, I’m convinced. I surrender. I (finally) ordered my copy of Warriors of the Wildlands: True Tales of the Frontier Partisans. Thanks Jim. Hope you enjoy it. That is some nice artwork! And could Simon Kenton have EVER imagined in his wildest fantasies, that one day diverse people scattered all over the planet would be discussing his adventures on technological communication devices that allowed them to converse even if they never actually met or heard one another talk? I mean, just how BIZARRE a concept is THAT?…..Yes, Kenton has always a favorite of mine, and his admiration–perhaps even love of the Old Indian ways, despite his conflicts with them, is one reason I admire him so. Daniel Boone was the same way–and those guys had to hide those feelings somewhat in an era where such idealism and tolerance would be viewed as TREASON! 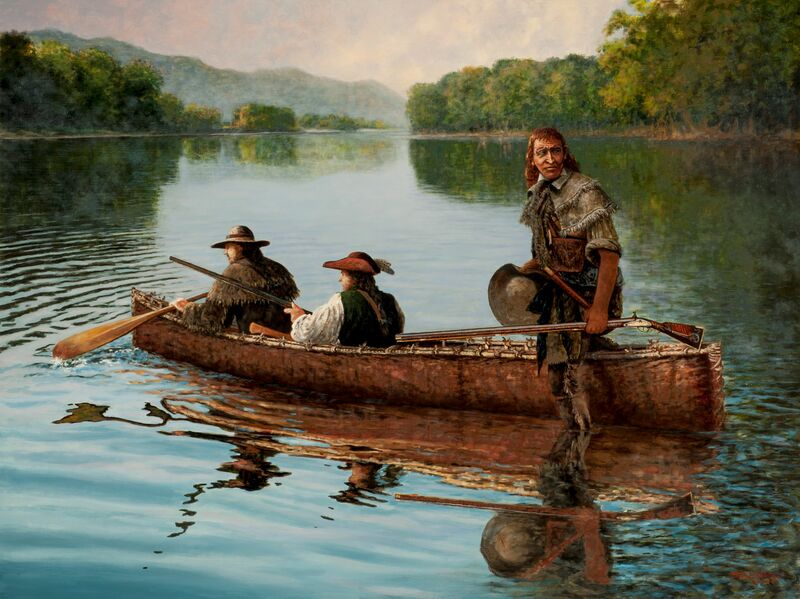 Marvelous paintings–I love seeing this era being brought to life in art REALISTICALLY and ACCURATELY! I’ll be starting “Outlander” season 3 at last, by the way–so hopefully not long before I get to season 4 and AMERICA! (although I DO love Scotland and it’s history and landscapes as well! )….and yes(ahem!) 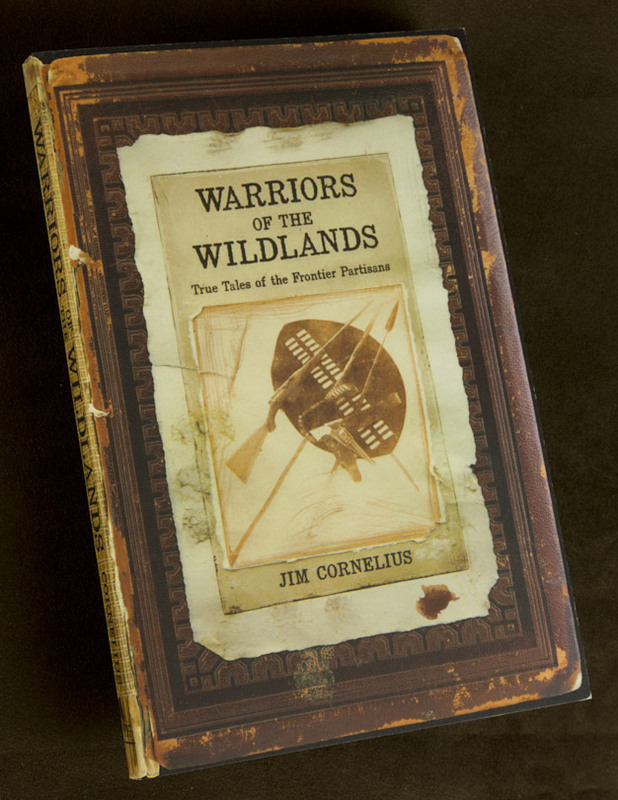 PERHAPS one day, I, too will have my own copy of “Warriors of the Wildlands”(ahem!)….. My mom had Zane Grey’s “frontier trilogy” when I was very young. I read it when I was about 7 or 8. Wasn’t there a gauntlet scene in one of those books? At some point, I need to reread those. Zane Grey certainly had his faults, but I’ve read a couple of things of his over the past 5yrs and I still find him readable. Grey was descended from the pioneering Zane family. He romanticized Wetzel considerably. REH referred to Wetzel as a monomaniac, comparing him unfavorably to his hero Big Foot Wallace. Jim, obviously off-topic but as you say the muse directs us where it does. The juices are finally flowing on Smoke of the Sioux again and I promise a lot more will be coming there over the rest of the winter. But, I wanted something else-where I could write about whatever I want. Years ago, before the Africa trip and “The Smoke of Africa”-I tried a conservation approach called “Eye on the Land”-but as Aldo Leopold (I think) said something about -“being ecologically minded is to live alone in a world of wounds” and I figured that out pretty quick and it really sucked. I thought about trying “The Smoke of the Land”-but that would be too limiting and the whole world of wounds thing again. So I am trying something else and I do not want you to link to it-but maybe keep it in mind. The “Smoke” empire (LOL) expanded with “The Smoke of a Thousand Campfires” with the name allowing me the freedom to chase the smoke wherever I want. A lot of conservation stuff-but wherever else the smoke leads too. I have 2 posts up now. The first one shows how I got the name of the blog, and the second one is “Ragged Edges of the Land” which is a topic that is near and dear to me and deserves a lot more thought and attention over time, but the juices have to start somewhere. “Through a Glass Darkly” and let the idea flow free. Some might get a kick out of it. I am acutely jealous of the name. Brilliant. Never dreamed how lucky I was when I named “The Smoke of Africa” and how it could carry through to other things.